and the IVOA Registry Working Group. VODataService refers to an XML encoding standard for a specialized extension of the IVOA Resource Metadata that is useful for describing data collections and the services that access them. It is defined as an extension the core resource metadata encoding standard known as VOResource [Plante et al. 2008] using XML Schema. The specialized resource types defined by the VODataService schema allow one to describe how the data underlying the resource covers the sky as well as frequency and time. This coverage description leverages heavily the Space-Time Coordinates (STC) standard schema [Rots 2007]. VODataService also enables detailed descriptions of tables that includes information useful to the discovery of tabular data. It is intended that the VODataService data types will be particularly useful in describing services that support standard IVOA service protocols. This is an IVOA Proposed Recommendation available for public review by all interested parties. Comments on this document should be made via the IVOA Request For Comment (RFC) Twiki page, http://www.ivoa.net/cgi-bin/twiki/bin/view/IVOA/VODataServiceV11RFC or by via email to registry at ivoa.net. The deadline comments can be found on the RFC page. 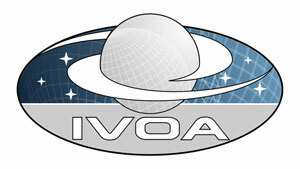 A list of current IVOA Recommendations and other technical documents can be found at http://www.ivoa.net/Documents/. This document has been developed with support from the National Science Foundation's Information Technology Research Program under Cooperative Agreement AST0122449 with The Johns Hopkins University, from the UK Particle Physics and Astronomy Research Council (PPARC), and from the Eurpean Commission's Sixth Framework Program via the Optical Infrared Coordination Network (OPTICON). The words "MUST", "SHALL", "SHOULD", "MAY", "RECOMMENDED", and "OPTIONAL" (in upper or lower case) used in this document are to be interpreted as described in IETF standard, RFC 2119 [RFC 2119]. The Virtual Observatory (VO) is general term for a collection of federated resources that can be used to conduct astronomical research, education, and outreach. The International Virtual Observatory Alliance (IVOA) is a global collaboration of separately funded projects to develop standards and infrastructure that enable VO applications. XML document validation is a software process that checks that an XML document is not only well-formed XML but also conforms to the syntax rules defined by the applicable schema. Typically, when the schema is defined by one or more XML Schema [schema] documents (see next section), validation refers to checking for conformance to the syntax described in those Schema documents. This document describes additional syntax constraints that cannot be enforced solely by the rules of XML Schema; thus, in this document, use of the term validation includes the extra checks that goes beyond common Schema-aware parsers which ensure conformance with this document. The eXtensible Markup Language, or XML, is document syntax for marking textual information with named tags and is defined by the World Wide Web Consortium (W3C) Recommendation, XML 1.0 [XML]. The set of XML tag names and the syntax rules for their use is referred to as the document schema. One way to formally define a schema for XML documents is using the W3C standard known as XML Schema [schema]. This document defines the VOResource schema using XML Schema. The full Schema document is listed in Appendix A. Parts of the schema appear within the main sections of this document; however, documentation nodes have been left out for the sake of brevity. Reference to specific elements and types defined in the VOResource schema include the namespaces prefix, vr, as in vr:Resource (a type defined in the VOResource schema). Reference to specific elements and types defined in the VODataService extension schema include the namespaces prefix, vs, as in vs:DataCollection (a type defined in the VODataService schema). Use of the vs prefix in compliant instance documents is strongly recommended, particularly in the applications that involve IVOA Registries (see [RI], section 3.1.2). Elsewhere, the use is not required. The VOResource standard [VOR] provides a means of encoding IVOA Resource Metadata [RM] in XML. VOResource uses XML Schema [schema] to define most of the XML syntax rules (while a few of the syntax rules are outside the scope of Schema). VOResource also describes mechanisms for creating extensions to the core VOResource metadata. This allows for the standardization of new metadata for describing specialized kinds of resources in a piecemeal way without deprecating the core schema or other extensions. This document defines one such extension referred to as VODataService. The purpose of this extension is to define common XML Schema types--particularly new resource types--that are useful for describing data collections and services that access data. In particular, it allows one to describe the data's coverage: the parts of the sky with which the data are associated and the time and frequency ranges that were observed or modeled to create the data. It also allows one to describe tables in detail. In particular, one can describe each of the columns of a table--providing, for example, its name, type, UCD [UCD], and textual description. When this metadata is part of a resource description in a registry [VOR], it becomes possible to discover tables that contains particular kinds of data. It is intended that VODataService will be central to describing services that support standard IVOA data access layer protocols such as Simple Image Access [SIA] and Simple Cone Search [SCS]. While other VOResource extensions would define the protocol-specific metadata (encapsulated as a standard capability [VOR]), the general service resource description would share the common data concepts such as coverage and tabular data. Note, however, that a service described using the VODataService schema need not support any standard protocols. With the VODataService extension schema plus the core VOResource schema, it is possible to describe a custom service interface that accesses data. As a legal extension of VOResource [VOR], the use of VODataService is subject to the rules and recommendations for XML [xml], XML Schema [schema], and VOResource itself. The VODataService extension in general enables the description of two types of resources: data collections and services that access data. Here's an example of a VOResource document (abbreviated for the purposes of illustration) that describes a service from the NASA Extragalactic Database (NED) that provides measured redshifts for a given object. redshifts for a given object. A sequential data-point number applicable to this list only. The object's name in NED's standard format, of the object to which the data apply. the extra namespaces associated with VODataService metadata; if STC coverage information [STC] is not included, then only the VODataService namespaced is needed. the specific type of resource indicated by the value of the xsi:type attribute; in this case vs:CatalogService indicates that this is describing a service that accesses tabular data. an interface described by the VODataService interface type, vs:ParamHTTP; this type can indicate input arguments it supports. a description of the coverage, including an STC description plus waveband keywords. a description of the table that is returned by the service. The namespace associated with VODataService extensions is "http://www.ivoa.net/xml/VODataService/v1.1". Just like the namespace URI for the VOResource schema, the VODataService namespace URI can be interpreted as a URL. Resolving it will return the XML Schema document (given in Appendix A) that defines the VODataService schema. The IVOA Registry Interface standard [RI] actually requires that the VOResource records it shares with other registries provide location URLs via xsi:schemaLocation for the VOResource schema and all legal extension schemas that are used in the records. This rule would apply to the VODataService schema. The prefix, vs, is used by convention as the prefix defined for the VODataService schema; however, instance documents may use any prefix. In applications where common use of prefixes is recommended (such as with the Registry Interface specification [RI]), use of the vs prefix is recommended. Note also that in this document, the vr prefix is used to label, as shorthand, a type or element name that is defined in the VOResource schema, as in vr:Resource. One reason one may not be able to use vs to represent the VODataService schema, version 1.1, is because it is already in defined to represent VODataService v1.0 and cannot be overridden. At this writing, there are no IVOA applications in which this is the case. Consult Appendix B for more details on compatibility issues. As recommend by the VOResource standard [VOR], the VODataService schema sets elementFormDefault="unqualified". This means that it is not necessary to qualify element names defined in this schema with a namespace prefix (as there are no global elements defined). The only place it is usually needed is as a qualifier to a VODataService type name given as the value of an xsi:type attribute. This resource declares the existence of a collection of data, what it represents, and how to get it. The access to the data may be limited to a human-readable web page (given by content/referenceURL); however, if the contents of the collection are available statically via a URL (e.g. an FTP URL to a directory containing all the files), that URL can be provided. It can also provide pointers to other IVOA registered services that can be used to access the data. This resource type declares one or more coordinate systems described using STC [STC] such that each can be assigned a globally unique identifier (based on the IVOA identifier for the resource record itself). This identifier can then be referenced in any other STC description in lieu of a fully described coordinate system. Coordinate system described in this way become reusable standards once they are registered in an IVOA registry. Inheriting from vr:Service, this type is for services that access astronomical data. It adds the ability to describe the data's coverage of the sky, frequency, and time. Inheriting from vs:DataService, this type specifically refers to a service that accesses tabular data. In addition to the coverage information, this type adds the ability to describe the tables and their columns. This is intended for describing services that support the "simple" IVOA data access layer protocols such as Simple Image Access [SIA] and Simple Cone Search [SCS]. In general, coverage refers to the extent that data samples the measurement range of the sky (space), frequency, and time. The coverage metadata (encoded via the vs:Coverage type) has two parts. The first part allows a full STC profile description (via the imported STC element, <stc:STCResourceProfile>). The second part captures key coverage metadata defined in the IVOA Resource Metadata standard [RM]. The RM-derived coverage elements can be considered summarizing metadata for many of the details that may appear within the STC description, and enables simpler searching of high-level coverage information. The detailed STC profile contained within the <stc:STCResourceProfile> element is capable of describing coverage not only in space, time, and frequency but also velocity and redshift. The profile contains up to three types of component descriptions ([STC], section 4.1): coordinate systems, coordinate values, and coordinate areas or ranges. The first component describes the coordinate systems to which coordinate values, areas, and regions are referenced. While any arbitrary system can be described in this first part, it is expected that most VODataService instances will provide a simple pointer to a predefined system in a registered vs:StandardSTC record (using the mechanism summarized in section 3.1.2 below). The coordinate values part will usually be used to describe the coordinate resolution, errors, or typical sizes. The coordinate areas part describes actual regions or ranges covered by the resource in any of the given coordinate systems. Table descriptions appear within a single <tableset> element. This element can in turn can contain one or more <schema> element in which each schema represents a set of logically related tables. It is not required that that the schema grouping match the underlying database's catalogs or schemas (as defined in [SQLGuide]), though it may. In some cases, such as when describing the table that is returned from an SIA service, the terms catalog and schema may have little relevance; in this case, the table can be considered part of a sole "default" schema. For each table in a schema, one can describe each of the columns, providing such information as its name, type, UCD [UCD], units, and a textual description. Providing this information makes it possible to select a resource based on the kind data contained in its tables. Finally, the VODataService defines specialized interface type (inheriting from vr:Interface) called vs:ParamHTTP. This type is used to describe the commonly used interface that is invoked over HTTP as either a GET or a POST [HTTP] in which the arguments are encoded as name=value pairs. In addition to the access URL, it can include not only the mime-type of the returned response, it can also enumerate the input arguments that are supported by the service implementation. Much like table columns, one can indicate for each argument the name, the UCD, the data type, the units, whether it is required, and a textual description the argument. Note that this does not capture any interdependencies between arguments. For example, it cannot indicate if one argument only makes sense in the presence of another argument. This section enumerates the types and elements defined in the VODataService extension schema and describes their meaning. Where a term matches a term in the RM, its meaning is given in terms of the RM definition. The vs:DataCollection type adds seven additional metadata elements beyond the core VOResource metadata [VOR]. The definition of <tableset> element places forces certain names within its description to be unique; these constraints are explained further in 3.3.1. All of the child elements except <tableset> derive from RM terms. Four of the elements--<facility>, <instrument>, <rights>, and <accessURL>--are reuses of elements defined in the core VOResource schema, sharing the same syntax and similar semantics. In particular, the meanings of <facility> and <instrument> in the context of vs:DataCollection are different from that in vr:Organisation only in that in the former type, they refer to the origin of the data. Semantic Meaning: the observatory or facility used to collect the data contained or managed by this resource. Semantic Meaning: the instrument used to collect the data contained or managed by this resource. Semantic Meaning: Information about rights held in and over the resource. public unrestricted, public access is allowed without authentication. secure authenticated, public access is allowed. proprietary only proprietary access is allowed with authentication. Semantic Meaning: The physical or digital manifestation of the information supported by a resource. Comments: MIME types should be used for network-retrievable, digital data, and the isMIMEType attribute should be set to explicitly to "true". Non-MIME type values are used for media that cannot be retrieved over the network--e.g. CDROM, poster, slides, video cassette, etc. Semantic Meaning: Extent of the content of the resource over space, time, and frequency. Semantic Meaning: A description of tables that are part of this collection. Semantic Meaning: The URL can be used to download the data contained in this data collection. Occurrences: required; multiple occurrences allowed. The isMIMEType attribute provides a flag to indicate if the value represents an actual MIME-type: if it is, this attribute should be explicitly set to "true". See section 3.3 for a specification of the vs:TableSet type for describing tables. The vs:StandardSTC resource type is used to register standard coordinate systems, positions, or regions using the Space-Time Coordinate (STC, [STC]) standard schema so that they can by uniquely referenced by name by other resource descriptions or applications. This resource type extends the core metadata with a single element, <stcDefinitions>, which contains the STC definitions. The curation metadata that is part of the core VODataService should generally refer to the publishing organization and persons that are responsible for defining the systems, updating the definitions as needed, and responding to user questions about the definitions. The content metadata, in particular the textual contents of the <description> element, should describe the purpose of the definition and where references to the defined systems, positions, or regions may be used. Semantic Meaning: the definitions of systems, positions, and regions that are available for referencing. The content of the <stcDefinitions> element is controlled by the STC schema. Because that schema uses the elementFormDefault="true" and most of the STC elements are defined to be global [schema], <stcDefinitions> child elements must be qualified as being in the STC namespace (http://www.ivoa.net/xml/STC/stc-v1.30.xsd), by either setting the default namespace (via the xmlns attribute) or via explicit qualification via a prefix (see example). The vs:DataService resource type is for describing a service that provides access to astronomical data. This service adds to the core VOResource service metadata the ability to associate an observing facility and/or instrument with the data as well as describe the coordinate coverage of data via its child <coverage> element. Note that while these elements are all optional, a resource of this type still implies access to astronomical data. The use and meaning of the <facility> and <instrument> elements are the same as for vs:DataCollection. The contents of the <coverage> element are detailed in section 3.2. The vs:CatalogService resource type is for describing a service that interacts with astronomical data through one or more specified tables. Because it extends the vs:DataService type, a catalog service can have a coverage description as well. The tabular data may optionally be described via a <tableset> element. The definition of <tableset> element forces certain names within its description to be unique; these constraints are explained further in 3.3.1. Semantic Meaning: A description of the tables that are accessible through this service. The vs:Coverage type describes how the data samples the sky, frequency, and time. A detailed, systematic description of coverage is provided via the child <stc:STCResourceProfile> element, taken from the STC schema, version 1.3, with the namespace, http://www.ivoa.net/xml/STC/stc-v1.30.xsd (hereafter referred using the stc: prefix). This element is defined in the STC schema as a global element; furthermore, the STC schema sets its global elementFormDefault="qualified". Consequently, the <stc:STCResourceProfile> element and all its child elements must be qualified as part of the STC namespace as required by XML Schema [schema]. In applications where common use of XML prefixes is required or encouraged (e.g. the IVOA Registry Interfaces [RI]), use of the stc: prefix to represent the STC namespace is encouraged. The remaining elements provide some summary information about the coverage. Value type: composite: an stc:STCResourceProfile element from the STC schema. Semantic Meaning: The STC description of the location of the resource's data (or behavior on data) on the sky, in time, and in frequency space, including resolution. Comments: In general, this description should be approximate; a more precise description can be provided by the service referred to by the <footprint> element. Semantic Meaning: a reference to a footprint service for retrieving precise and up-to-date description of coverage. Comments: the ivo-id attribute refers to a Service record having a footprint service capability. That is, the record will have a capability element describing the footprint service (see "Note on Footprint Service" below for further discussion). The resource referred to may be the current one. Semantic Meaning: a named spectral region of the electro-magnetic spectrum that the resource's spectral coverage overlaps with. 3000 GHz >= frequency >= 30 GHz. Semantic Meaning: a single numeric value representing the angle, given in decimal degrees, by which a positional query against this resource should be "blurred" in order to get an appropriate match. Comments: In the case of image repositories, this value might refer to a typical field-of-view size, or the primary beam size for radio aperture synthesis data. In the case of object catalogs, region of regard should normally be the largest of the typical size of the objects, the astrometric errors in the positions, or the resolution of the data. The <footprint> element has been defined in anticipation of a future standard IVOA footprint service protocol that can be used to respond to detailed spatial overlap queries. Consequently, in the future, applications may be able to assume the protocol that footprint service URL supports. When an application is unable to make any assumptions, the IVOA Identifier given by the attribute should be resolved and the returned resource description should be searched for a recognized footprint service capability. The vs:TableSet type can be used to describe a set of tables that are part of a single resource and can be consider functionally all located at a single site. Semantic Meaning: A named description of a set of logically related tables. Occurrences: required; multiple occurrences are allowed. Comments: See section 3.3.1 regarding unique names for schemas. The vs:TableSchema type collects tables together that are logically related. For example, a single resource may provide access several major astronomical catalogs (e.g. SDSS, 2MASS, and FIRST) from one site, enabling high-performance cross-correlations between them. Each catalog can be described in a separate <schema> element, using the elements from the vs:TableSchema type. Semantic Meaning: A name for the set of tables. Comments: If there is no appropriate logical name associated with this set, the name should be explicitly set to "default". See section 3.3.1 regarding the uniqueness of this name. Semantic Meaning: a descriptive, human-interpretable name for the table set. Comments: This is used for display purposes and is useful when there are multiple schemas in the context (e.g. within a tableset; otherwise, the resource title could be used instead). Note, however, that there is no requirement regarding uniqueness. If a title is not provided, the schema name can be used for display purposes. Semantic Meaning: A free text description of the tableset that should explain in general how all of the tables are related. Semantic Meaning: an identifier for a concept in a data model that the data in this schema as a whole represent. Comments: The format defined in the VOTable standard, section 4.1 [VOTable] is strongly recommended; see "Note on UType Format below. Semantic Meaning: A marked description of one of the tables that makes up the set. Occurrences: optional; multiple occurrences are allowed. As of this writing, an IVOA standard for the format of utypes is still under development. As a result, the most definitive documentation of the format is in section 4.1 of the VOTable specification [VOTable], which is expected to be a more general form to be spelled out in the eventual utype standard. Use of that latter standard is recommended once it becomes available. Each table in a schema is described in detail using the vs:Table type. Semantic Meaning: A fully qualified name for the table. This name should include all catalog or schema prefixes needed to sufficiently uniquely distinguish it in a query to the table. Comments: In general, the format of the qualified name may depend on the on the context; however, when the table is intended to be queryable via ADQL [ADQL], then the catalog and schema qualifiers are delimited from the table name with dots (.). If this table is part of the schema named "default", the schema name does not need to appear in this table name, unless it is required by an associated access service. If there is no appropriate logical name associated with this table, the name should be explicitly set to "default". See section 3.3.1 regarding the uniqueness of this name. Comments: This is used for display purposes. There is no requirement regarding uniqueness. If a title is not provided, the table name can be used for display purposes. Semantic Meaning: A free-text description of the table's contents. Semantic Meaning: an identifier for a concept in a data model that the data in this table as a whole represent. Comments: The format defined in the VOTable standard, section 4.1 [VOTable] is strongly recommended; see "Note on UType Format above. Semantic Meaning: A marked description of one of the table's columns. Comments: See section 3.5 for the description of this element's contents. Semantic Meaning: A description of a foreign keys, one or more columns from the current table that can be used to join with another table. Comments: See section 3.5.2 for the description of this element's contents. Each column in a table can be described using the vs:TableParam type which is described in section 3.5. The foreign keys in the table that can be used to join it with another table can be described with the vs:ForeignKey type (section 3.3.2). A foreign key description should only refer to tables described within the current table set. Semantic Meaning: a name indicating the role this table plays. base_table this table contains records that represent the main subjects of the parent schema; other tables contain ancillary data. view the table represents a useful combination or subset of other tables. The definitions of the <tableset> elements used in the vs:DataCollection and vs:CatalogService types constrain certain names to be unique. In particular, all schema names within a <tableset> element must be unique, and all table names within a <tableset> element must be unique. (A schema and table may share a common name, such as "default".) These constraints makes it possible to uniquely locate the description of a schema or table within a VOResource description. Name uniqueness is only required when the table set description is part of a VOResource description. The name uniqueness rules should also be applied to other uses of the vs:TableSet element outside of a VOResource description. The vs:ForeignKey type allows one to describe foreign keys in a table that allow it to be joined effectively with another table. A foreign key is a set of columns that map to a corresponding set of columns in another table. In this model, the source of the foreign key is the current table being described (i.e. represented by the <table> element that contains the vs:ForeignKey description, and thus doesn't need to be named explicitly). The key that is described points to the table given by the <targetTable> child element. Each child <fkColumn> element then gives a pair of columns, one from the source table and one from the target table, that can be constrained to be equal in a query that joins the two tables. Semantic Meaning: the fully-qualified name (including catalog and schema, as applicable) of the table that can be joined with the table containing this foreign key. Semantic Meaning: a pair of column names, one from this table and one from the target table that should be used to join the tables in a query. Comments: There should be one <fkColumn> element for each column that makes up the foreign key. Semantic Meaning: an identifier for a concept in a data model that the association enabled by this key represents. Comments: The format defined in the VOTable standard, section 4.1 [VOTable] is strongly recommended; see "Note on UType Format" above. Semantic Meaning: The unqualified name of the column from the current table. Semantic Meaning: The unqualified name of the column from the target table. a description of a foreign key in an observation table pointing into a filter table. Use extended types by applying the xsi:type attribute to the <tableset>, <schema>, <table>, <column> and/or <dataType> elements. The values provided in the attributes must refer to an XML type legally extended from the types associated with these elements according to the rules of XML Schema [schema] and the VOResource specification [VOR]. Apply a globally-defined attribute from a schema other than VODataService (i.e. from a namespace other than "http://www.ivoa.net/xml/VODataService/v1.1") to any of the <tableset>, <schema>, <table>, and/or <column> elements. When the extended metadata is specific to how the table data is accessed via a particular service protocol, then the new metadata can be incorporated into a specific capability extension (as described in the VOResource specification [VOR]). This extension may make use of the various names within the <tableset> to indicate where the extension metadata apply. Use the extendedType attribute of the <dataType> element (see section 3.5.3) to indicate a more specific data type then those defined by the vs:TableParam type. When the service is invoked as a POST, the encoded list of parameters are uploaded to the service as the HTTP Message Body. The above GET request example shown as an HTTP POST message. The vs:ParamHTTP type is intended for (but not limited to) use in describing an interface within a VOResource description of a service capability (as described in [VOR], section 2.2.2); that is, it can be invoked via the xsi:type attribute on an <interface> element. The extension metadata defined in the schema definition above are all optional. Nevertheless, even when an <interface> instance does not include any of these extended child elements, the use of xsi:type="vs:ParamHTTP" indicates that the interface accessed via the URL given by the <accessURL> element complies with the general parameter-based protocol described in this section. Semantic Meaning: The type of HTTP request supported by the interface, either GET or POST. Semantic Meaning: The MIME type of a document returned in the HTTP response. Semantic Meaning: a description of an input parameter that can be provided as a name=value argument to the service. Semantic Meaning: an ampersand-delimited list of arguments that can be used to test this service interface; when provided as the input to this interface, it will produce a legal, non-null response. Comments: When the interface supports GET, then the full query URL is formed by the concatonation of the base URL (given by the accessURL) and the value given by this testQuery element. A important intended use of the vs:ParamHTTP type is describing the interface of an IVOA standard service protocol of the "simple" variety, such as the Simple Image Access Protocol [SIA]. In particular, it is recommended that specifications that define how a standard service is registered in a registry require the use of the vs:ParamHTTP interface type when it is applicable. <param> elements for any optional parameters or local extended parameters (when allowed by the standard). Of course, listing required parameters is always allowed, even when describing a standard interface as long as these are consistent with the service specification and the corresponding <param> elements include the attribute use="required" (see 3.5.1). The <param> elements for custom parameters that are not part of the standard (but are rather local customizations) should include the attribute std="false". The VODataService schema provides several element types for describing different kinds of data parameters used in datasets and services, including service input parameters and table columns. The parameter types allow one to fully describe a parameter in terms of metadata that includes name, data type, and meaning. All the VODataService parameter types derive from a base type called vs:BaseParam which defines all the common parameter metadata except the data type. Semantic Meaning: The name of the column. Semantic Meaning: the unit associated with all values associated with this parameter or table column. Semantic Meaning: the name of a unified content descriptor that describes the scientific content of the parameter. Comments: There are no requirements for compliance with any particular UCD standard. The format of the UCD can be used to distinguish between UCD1, UCD1+, and SIA-UCD. See [UCD] for the latest IVOA standard set. Leaving the data type metadatum out of vs:BaseParam allows the different kinds of parameters derived from vs:BaseParam to restrict the allowed data types to specific sets. The subsections below describe the different data types associated with input parameters (vs:InputParam) and table columns (vs:TableParam). The XML types associated with their <dataType> elements derive from a common parent, vs:DataType. The content of a data type element of this type is the name of the data type for the current parameter. When the element is explicitly a vs:DataType (as opposed to one of its derived types), there are no restrictions on the names that may be included. A data type description can be augmented via a common set of vs:DataType attributes, defined below. The arraysize attribute indicates the parameter is an array of values of the named type. Its value describes the shape of the array, and the delim attribute may be used to indicate the delimiter that should appear between elements of an array value. Depending on the application context, these attribute may not be enough to effectively parse the array values, in which case more information must be brought to bear either through assumptions about a particular derived vs:DataType or through additional attributes. More descriptive information about the type can be provided via extendedType and extendedSchema, which provide an alternate data type name. It's expected that this name will only be understood by a special subset of applications. The name given in the element content, then, represents a more commonly understood "fall-back" type. Arbitrary information can also be provided via any prefix-qualified, globally defined attribute drawn from an XML Schema other than VODataService (by virtue of the xs:anyAttribute specification shown above). Value type: the VOTable arraysize format (vs:ArrayShape): LxMxN..., where each x-delimited positive integer is a length along a dimension of a multi-dimensional array. A single integer indicates a one dimensional array. Instead of an integer, the last length can be set to "*" which indicates a variable length. Semantic Meaning: The attribute's presence indicates that parameter holds an array values; the attribute's value indicates the length of the array along each dimension of the multi-dimensional array. Semantic Meaning: the string that is used to delimit element of an array value when arraysize is not "1". Comments: Unless specifically disallowed by the context, applications should allow optional spaces to appear in an actual data value before and after the delimiter (e.g. "1, 5" when delim=","). Semantic Meaning: The data value represented by this type can be interpreted as of a custom type identified by the value of this attribute. Comments: The name implies a particular expected format for the data value that can be parsed into a value in memory. If an application does not recognize this extendedType, it should attempt to handle value assuming the type given by the element's value. "string" (or its equivalent) is a recommended default type. This element may make use of the extendedSchema attribute and/or any arbitrary (qualified) attribute to refine the identification of the type. Semantic Meaning: An identifier for the schema that the value given by the extended attribute is drawn from. Comments: This attribute is normally ignored if the extended element is not present. Note that in the derived parameter description types described below, the <dataType> element is optional. Its absence from the parameter description does not mean that the parameter can support any data type; rather, it means that the data type simply has not been provided (which may limit what an application can do with the parameter). If a parameter can truly support any data type, the vs:BaseParam type can be used directly when the context permits. Actual parameters are normally described with types derived from vs:BaseParam. The vs:InputParam is intended for describing an input parameter to a service or function. The allowed data type names (given in the metadata table below) do not imply a size or precise format; rather, they are intended to be sufficient for describing an input paramter to a simple REST-like service or a function in a weakly-typed (e.g. scripting) language. By fixing the <dataType> child element to that of the vs:SimpleDataType, the possible types are restricted to predefined set appropriate for input parameters. Semantic Meaning: a type of data contained in the column. Allowed Values: The following type names correspond to the same data types defined in the VOTable standard [VOTable]: boolean, char, integer, real, and complex. The additional type, string, is equivalent to char when the attribute arrayshape="*". Semantic Meaning: An indication of whether this parameter is required to be provided for the application or service to work properly. required the parameter must be provided. optional the parameter need not be provided (default). Semantic Meaning: If true, the meaning and behavior of this parameter is reserved and defined by a standard interface. If false, it represents an implementation-specific parameter that effectively extends the behavior of the service or application. The default is true. A description of an input parameter that might appear inside an vs:ParamHTTP interface description. As noted in section 3.4, a <param> element uses the vs:InputParam type to describe itself. within this angular distance of the search position. The vs:TableParam is also derived from vs:BaseParam, and is designed for describing a column of a table. A table column's data type is indicated with the <dataType> element with a name drawn from a standard set of names. The vs:TableParam type is not restricted to a single standard set, and the VODataService schema defines two standard sets: one corresponding to VOTable data types [VOTable] and one for Table Access Protocol types. Because its XML type, vs:TableDataType is abstract, the <dataType> element MUST include an xsi:type attribute to indicate which standard set of type names is being used. Allowed Values: The allowed type names are determined by value of the xsi:type; see section 3.5.3 below. Semantic Meaning: a keyword representing traits of the column. indexed The column has an index on it for faster search against its values. primary The values column in the column represents in total or in part a primary key for its table. nullable the column may contain null or empty values. The VODataService schema defines two XML types that derive from vs:TableDataType: vs:VOTableType and vs:TAPType. Semantic Meaning: data types that correspond to the parameter and column types defined in the VOTable schema [VOTable]. Allowed Values: boolean, bit, unsignedByte, short, int, long, char, unicodeChar, float, double, floatComplex, and doubleComplex. String values of arbitrary length are represent by a value of char with arraysize="*"
Semantic Meaning: data types that correspond column types defined in the Table Access Protocol (v1.0) [TAP]. Allowed Values: BOOLEAN, SMALLINT, INTEGER, BIGINT, REAL, DOUBLE, TIMESTAMP, CHAR, VARCHAR, BINARY, VARBINARY, POINT, REGION, CLOB, and BLOB. String values are represented via VARCHAR. Semantic Meaning: The length of the variable-length data type. Comments: In the context of TAP, this attribute is only meaning when the data type is CHAR or BINARY; see discussion below. In general, the vs:TableParam's <dataType> can support any non-abstract type legally derived from vs:TableDataType. However, in the context of a vs:DataCollection or vs:CatalogService resource description, it is strongly recommended that either vs:VOTableType or vs:TAPType (or some other IVOA standard type derived from vs:TableDataType) be used to ensure maximum interoperability. When the actual column type is not well matched to a type from one of these standard sets, authors are encouraged to use the extendedType attribute to refer to a more specific type. Note that the TAP standard [TAP] defines an explicit mapping between TAP_SCHEMA types and VOTable types. Thus, in the context of a vs:CatalogService resource description that supports a TAP capability (perhaps in addition to other catalog services like Simple Cone Search [SCS]), use of the vs:TAPType data type is preferred. The motivation for providing two standard data type sets, vs:VOTableType and vs:TAPType, is to maximize the ease of generating the table description, particular as part of the VO Standard Interface [VOSI] and for legacy services. The table description for "stand-alone" SIA, SCS, and SSA services can be readily generated using the vs:VOTableType data types from these interface's respective metadata queries. Newer services supporting TAP could generate its description using its TAP_SCHEMA queries. The motivation for specifying a column's data type using the xsi:type mechanism is mainly to allow for the possibility that the official TAP data types will evolve. This allows the IVOA to define new data type sets without updating the VODataService standard. Using non-IVOA-standardized data type names is expected to undermine interoperability and so is therefore discouraged. describing data collections and services. combination of images, spectra, catalogs, or other data. contained or managed by this resource. This should be repeated for all Rights values that apply. precise and up-to-date description of coverage. that the resource's spectral coverage overlaps with. to get an appropriate match. describing the capability refered to by this element. wavelength >= 10 mm; frequency <= 30 GHz. The set of tables hosted by a resource. A named description of a set of logically related tables. A name for the set of tables. name can be used for display purposes. a descriptive, human-interpretable name for the table set. explain in general how all of the tables are related. the data in this schema as a whole represent. A description of one of the tables that makes up the set. The table names for the table should be unique. with a set of arguments consisting of keyword name-value pairs. The type of HTTP request, either GET or POST. with GET and one with POST. The MIME type of a document returned in the HTTP response. provided as a name=value argument to the service. it will produce a legal, non-null response. given by this testQuery element. through one or more specified tables. longitude-latitude positions in some coordinate system. table name with dots (.). a descriptive, human-interpretable name for the table. the data in this table represent. a description of a table column. rather than this type directly. describes the scientific content of the parameter. for the latest IVOA standard set. the data in this schema represent. a description of a table parameter having a fixed data type. The allowed data type names match those supported by VOTable. a keyword representing traits of the column. not provided, then the value is unknown. written in a weakly-typed (e.g., scripting) language. or service to work properly. Allowed values are "required" and "optional". with a restricted set of names. the default is "1"; i.e. the value is a scalar. value when arraysize is not "1". the delimiter (e.g. "1, 5" when delim=","). the value of this attribute. assuming the type given by the element's value. string is a recommended default type. by the extended attribute is drawn from. extendedType attribute is not present. imprecise as to the format of the individual values. used to specify the data type of a table column. by the Table Access Protocol. that are defined with a length (CHAR, BINARY). type, updating the description is strongly discouraged. should have a an XML ID assigned to it. default namespace via an xmlns namespace. columns from one table--to columns in another table. within the context of the table containing the key. table containing this foreign key. and what the relationship means. the association enabled by this key represents. A pair of columns that are used to join two tables. to the value in the second column. The unqualified name of the column from the current table. The unqualified name of the column from the target table. The working draft version 1.0 of the VODataService schema has been in use in IVOA registries since about 2008. It is expected that registries will migrate over to version 1.1 gradually and during the transition, there may well be instances of both v1.1 and v1.0 in the same registry. While the metadata structures are the mostly the same (particularly the core VOResource metadata), it is worth enumerating where they are different as this can affect how queries against differing metadata are formed. In v1.1, <schema> replaces v1.0's <catalog>. In v1.0, the root element of a table description in a vs:DataCollection was <catalog>. Consequently, a <table> element in a v1.1 record is one level lower than in v1.0. In v1.0, the root element of a table description in a vs:CatalogService was <table>. Consequently, a <table> element in a v1.1 record is one level lower than in v1.0. Version 1.1's vs:Coverage type now contains a <regionOfRegard> element. In v1.0, this metadatum was only available via coverage/stc:STCResourceProfile/stc:AstroCoord/stc:Size. Version 1.1's vs:TableParam (for describing table columns) adds <utype> and <flag> elements. The v1.1 vs:InputParam adds a <utype> element. added <description> and <utype> elements to the vs:ForeignKey type for consistency with TAP. changed type names vs:TAP to vs:TAPType and vs:VOTable vs:VOTableType. Williams, Roy, Hanisch, Robert, Szalay, Alex and Plante, Ray 2008, Simple Cone Search Version 1.03 , IVOA Recommendation, http://www.ivoa.net/Documents/REC/DAL/ConeSearch-20080222.html. Tody, Doug, Plante, Ray, and Harrison, Paul 2009, Simple Image Access Specification Version 1.0 , IVOA Recommendation, http://www.ivoa.net/Documents/SIA/20091116/. Date, C.J. and Darwin, Hugh 1997, A Guide to the SQL Standard, Fourth Edition, (Addison-Wesley, Longman Inc.: Reading), p 24.